What is so great about the Number 25 in October? 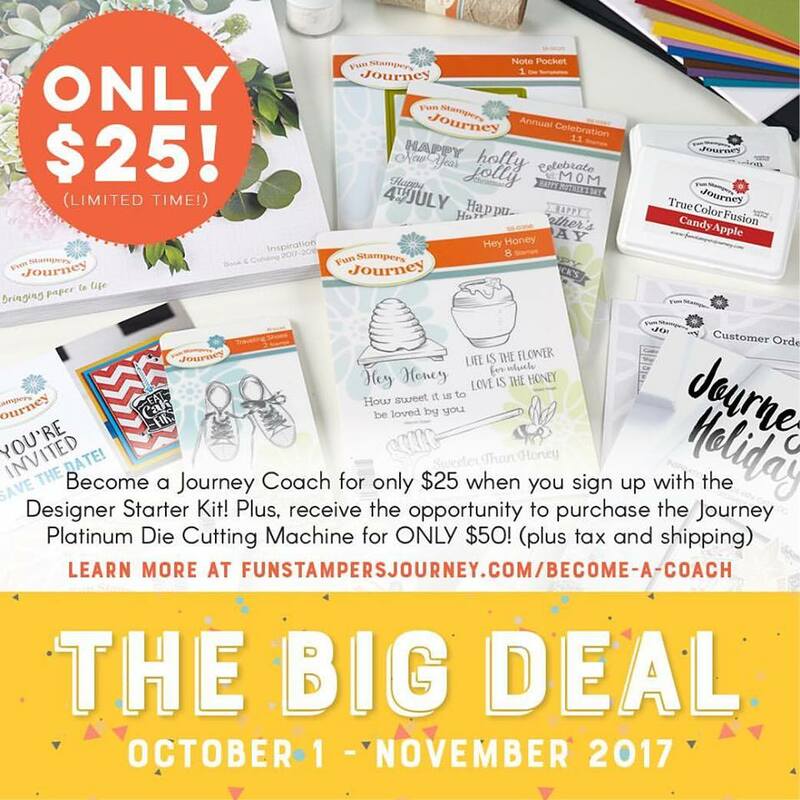 Well have you ever thought about joining Fun Stampers Journey? Starting October 1st for $25.00 you can become a Fun Stampers Journey Coach! plus shipping and tax! What a BIG DEAL! it will ask you to verify that you are signing up under the correct person. 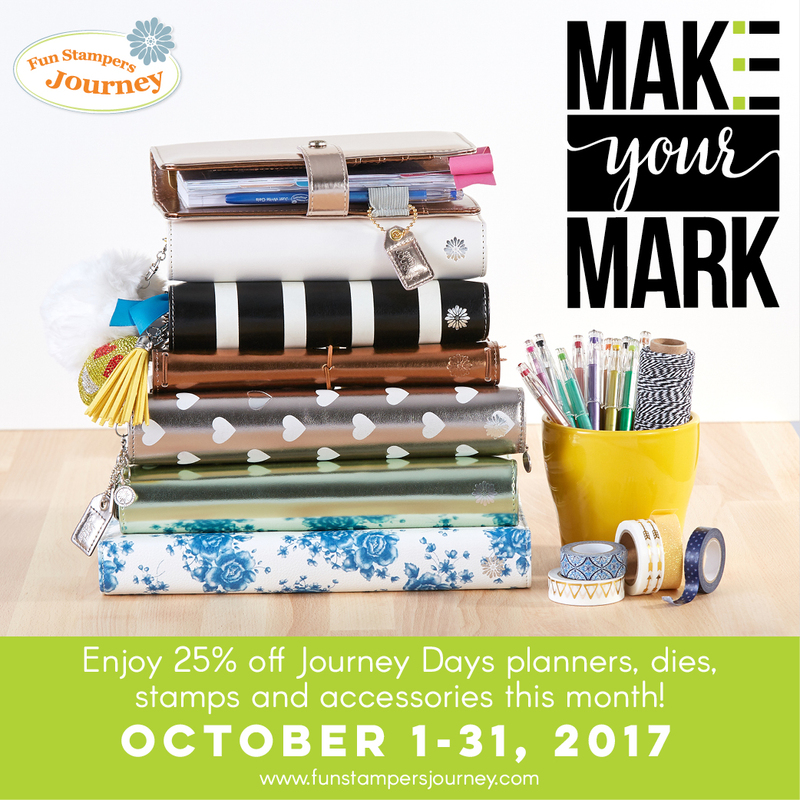 This is the BIGGEST discount offered to date, save 25% off Journey Days Planners, Dies, Stamps and accessories throughout the Month of October! Have you been on the fence about purchasing a planner? Fun Stampers Journey has some fabulous planner clips, washi tape, sparkle tape, dies, and stickers just to name a few of the fabulous elements you can add to your planner to make it your own. The items on sale would also work on cards or scrapbook pages you are not limited to Planners only to take advantage of the 25% off. Purchase 1 of 2 or Purchase Both Planner Kits! 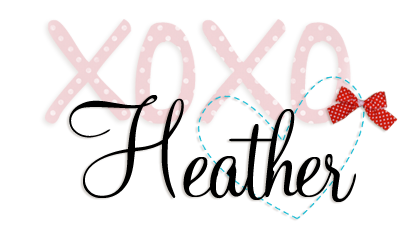 or what a FABULOUS Discount to start your own planner.